This article is with regards to the declaration of AP EAMCET Results 2018. Candidates can check their result/ details of marks secured by the candidate on following official link of AP EAMCET, the conducting body, by filing the requisite data. AP EAMCET Result 2018 will be declared soon in the first week of May 2018. Students who are appearing for the exam can check the AP EAMCET Results through the official website. The AP EAMCET Result 2018 will be declared through online mode only. The students whose result is shown qualified in the AP EAMCET Result 2018 can participate in the counselling and seat allotment procedure of admission. Students can get admission in various professional courses in Engineering, Agriculture and Pharmacy. 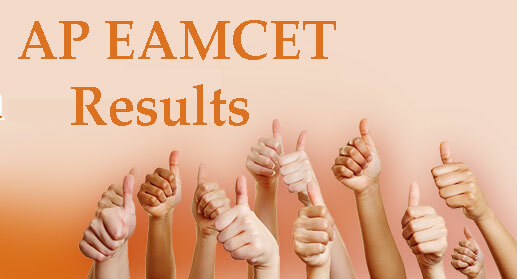 Visit the official website and click the link AP EAMCET Result 2018. Enter AP EAMCET registration number and date of birth. The AP EAMCET Result 2018 will appear on the Screen. Take print out of the AP EAMCET result 2018. Candidates will be able to check their ranks through AP EAMCET Result 2018. The admission will be done based on the rankings of the candidate in the exam. The rankings of the candidates will be decided based on the combined scores obtained by giving 75% weightage to the marks secured in AP EAMCET 2018 and 25% weightage to the marks secured in Maths, Chemistry, and Physics in class XII qualifying exam. The qualified candidates will be called for the counselling session. Click on the link given below (The link will be active after the release of rank card). Enter AP EAMCET 2018 hall ticket number, registration number, and date of birth. The AP EAMCET Rank Card 2018 will be visible on the screen. Take a print out of the same and preserve it safely as it will have to be produced during counseling.